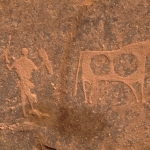 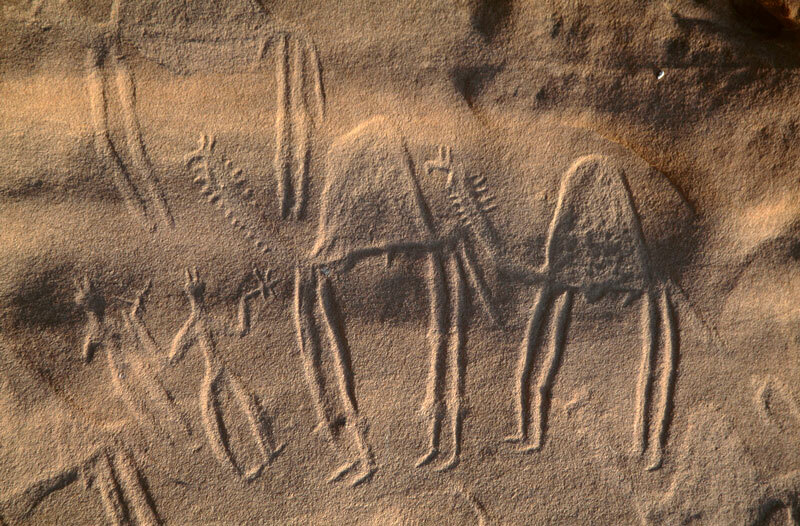 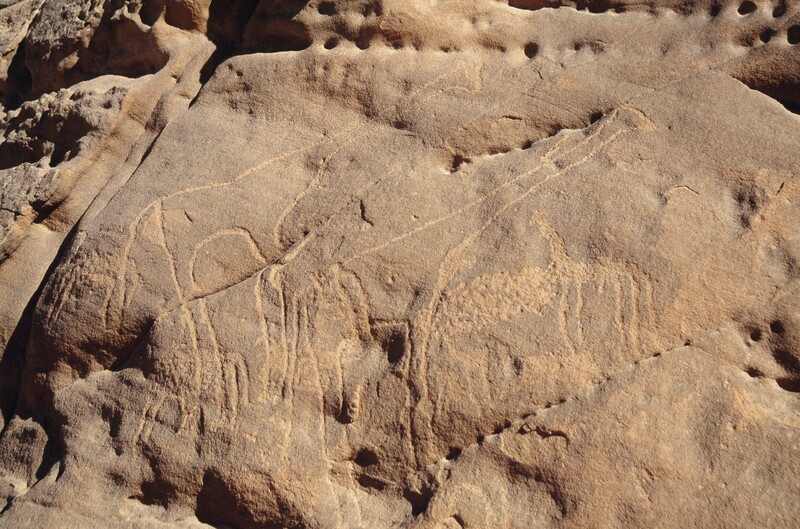 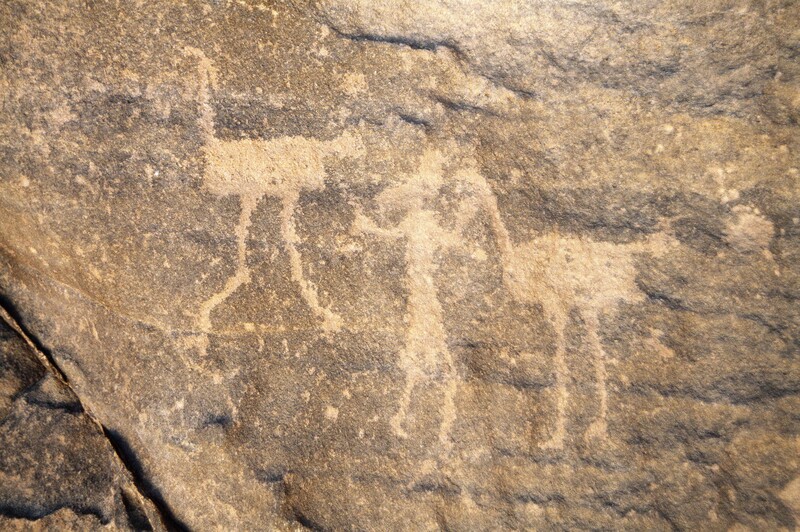 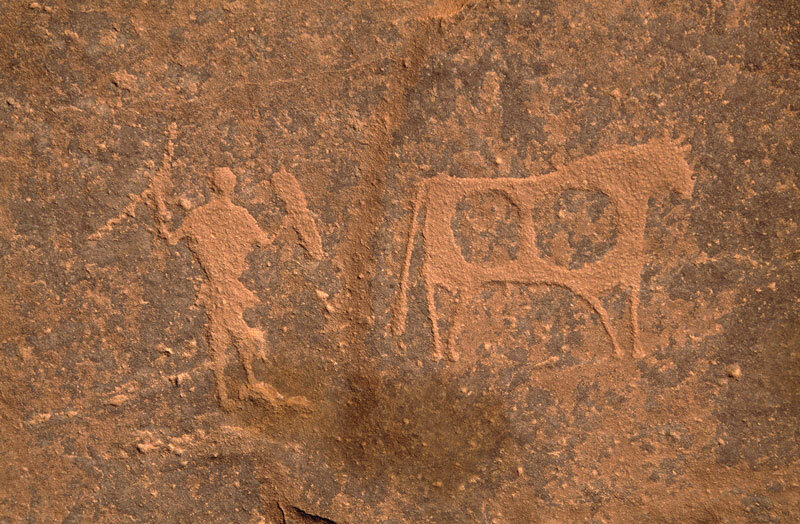 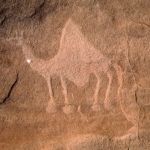 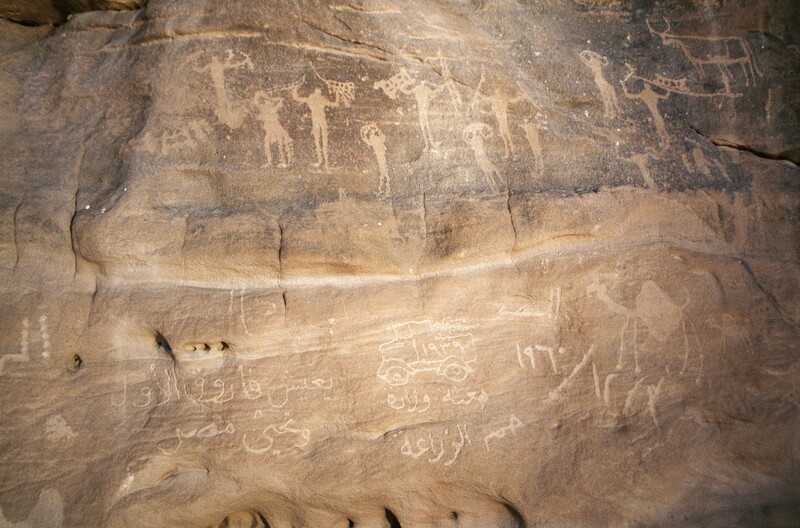 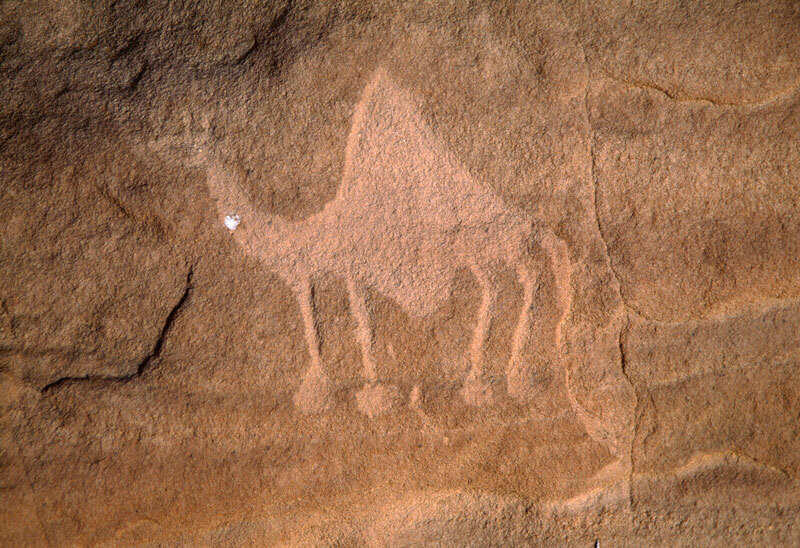 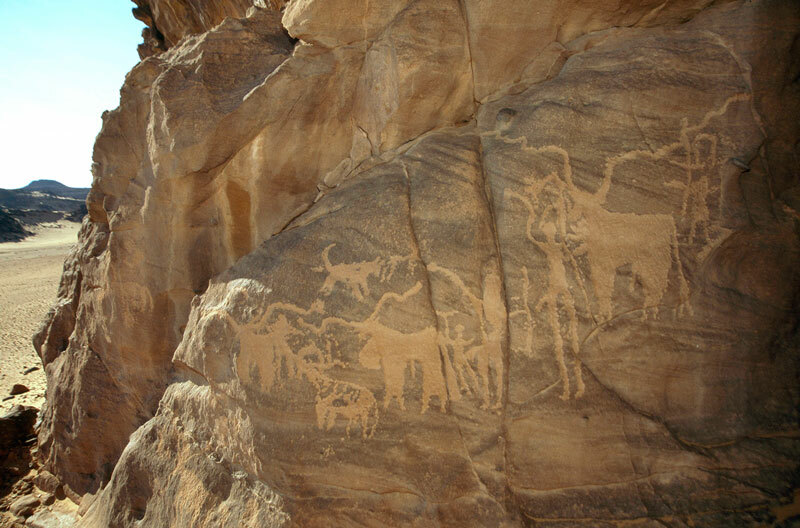 Sudan has some important rock art. 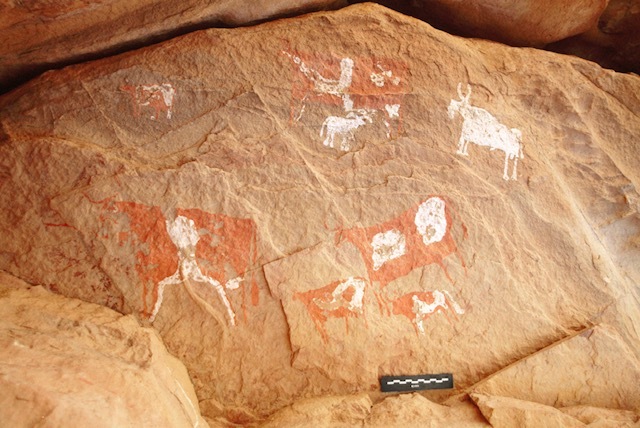 Most of the northern part of the country is either desert or semi-desert but there are fertile areas in the Nile Valley and there is a lot of art in these Rocky hills. 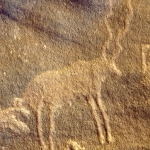 In the extreme north east is a mountain called Jebel Awaynat on top of which the borders of Egypt, Libya and Sudan all meet. 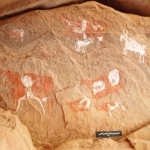 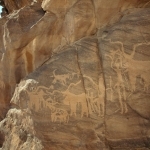 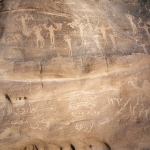 This area is very rich in rock engravings and paintings. 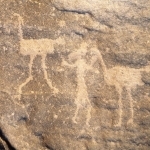 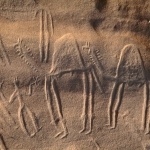 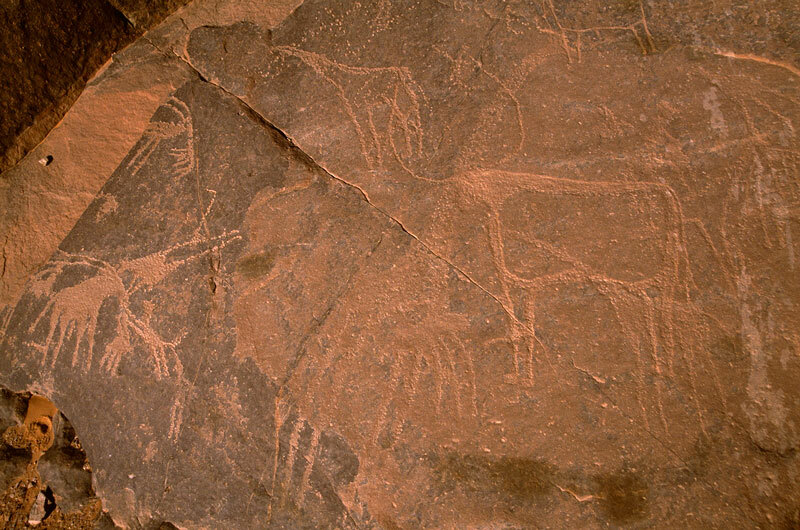 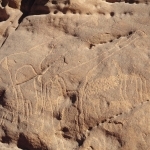 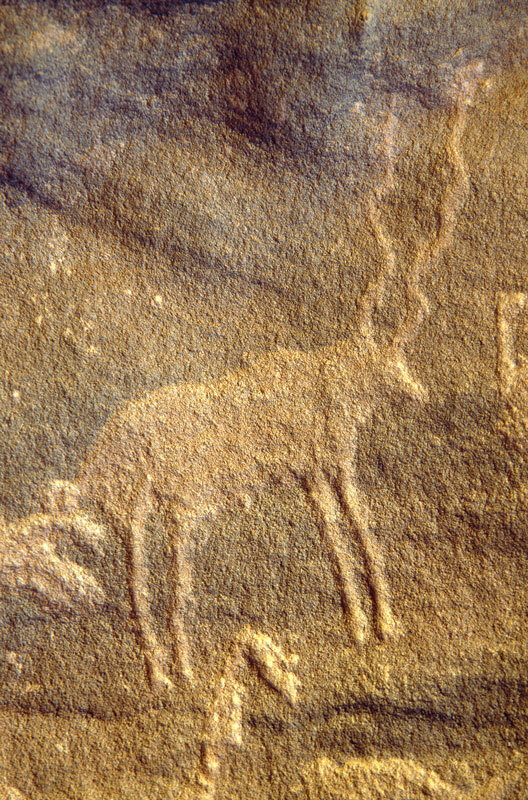 South of here is an ancient river valley (ancient tributary of the Nile) with many important engravings and still further south and east of Darfur is Kordofan which is also rich in rock art. 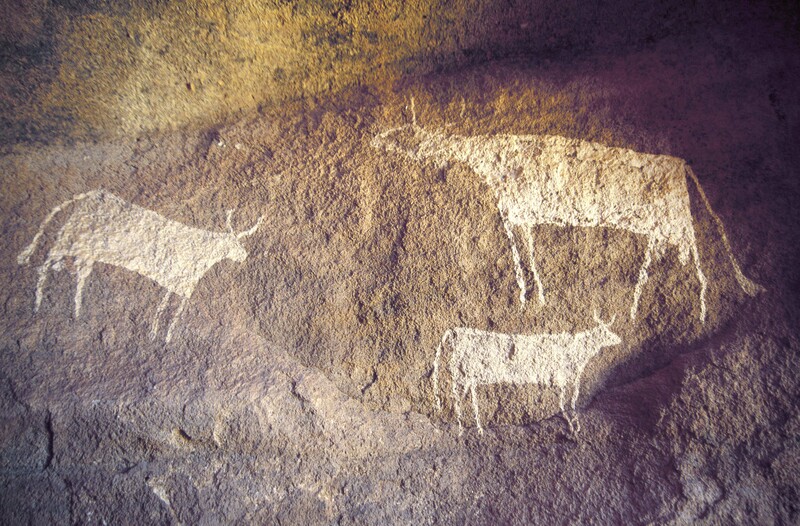 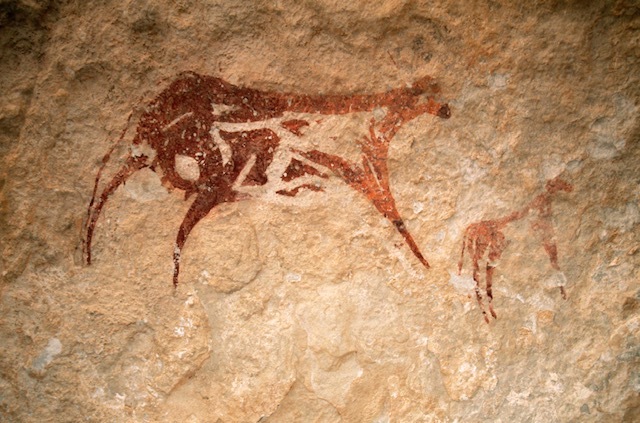 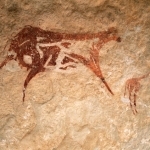 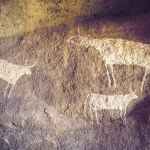 Meanwhile, there are rock paintings in the north east along the Ethiopian border. 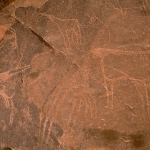 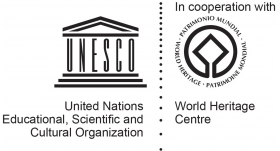 Southern Sudan does so far not appear to have much rock art but there is art in the Nuba Mountains and there is probably art not yet recorded near the Ethiopian border and the border with the Central Africa Republic (CAR).